Happy Spring everyone. Baseball is back, but you already know that. In fact you’ve been counting down the days for the past five months. You have completed all your drafts, tweaked your rosters, covered for injuries, and maybe even picked a new Logo or avatar. You have also already done battle with the groundhog who lives under your shed ten feet from the vegetable garden that you both are anxiously waiting to sprout. So what is left? Well, in my leagues, the weekly limits are such that an owner has to grab a couple of spot starts each week if he wants to compete for a league title. Before we jump onto the waiver wire and grab some pitchers with a pulse to plug in our lineups, lets consider a few things first, shall we? First, if you are in a ROTO League, STOP. I don’t care what the settings are in your league, don’t Spot Start for the first couple weeks of the season. I bench all but my two best starting pitchers until mid April once the dust clears, the rust gets shaken off, and pitcher’s mechanics are ironed out. Running all your starters out and spotting a couple more is a good way to dig yourself into an ERA and WHIP hell that you will never climb out of. I like emerging from April with the best ERA and WHIP in the league. Those are the hardest numbers to move once the season is a month or two in. In Head to Head leagues however, where you get a fresh start every Monday, spot and stream away. You don’t want to be the guy who loses all the pitching counting stats because you were afraid to max out your starts for the week. You are the guy who needs a spot starting plan every week. This first week may be the toughest spot starting week of the year. Hopefully you left a spot or two open on your roster for some spotters. A quick look a the wire and you see all the starters that were not drafted. They are outside the top 60-80 that your league drafted. Some are border line rosterable, some are lesser known or new quality arms, or established MLB SP coming back from injury, and some are just the bottom of the barrel who still get the ball every five days. Any of them is a worthwhile spotter/streamer if he has the right match-up. Every Sunday I’ll highlight a few of the MLB starting pitchers, owned in less than half of leagues, who might help you in the coming week. I’ll also look deep into the abyss and toss out some SP who have great match-ups even though they are owned in less than 10% of fantasy leagues. These are the pitchers your league mates didn’t think about, or even know about. This Week’s Trivia Question: Name the starting pitcher who has finished in the top 5 of NL Cy Young Voting four times, Pitched 230 innings four times, Struck out 200 or more batters three times and Won at least 19 games four times. He has 148 career wins but was only drafted in 20% of Fantrax Leagues, including all of mine. No, it is not Bartolo Colon, lol. Derek Holland, LHSP, SFG (46% Owned in Fantrax) @ LAD TUE: Borderline draftable/ownable, Holland had a sneaky good season in 2018, and as long as he has matchups like this one I’d keep him active. He fought off several young challengers to his 5th SP spot, even after the Giants obtained Drew Pomeranz, but was named the 5th starter at the end of Spring Training. His first start was not great as he went 4 innings giving up three runs, though he did strike out five batters. Last season he went 7-9 in 30 starts, (11 quality starts) but put together a 3.57 ERA backed up by a 3.87 FIP. He also struck out 169 batters in 171.1 innings pitched in 2018. The Dodgers hit to a .310 wOBA and .231 batting average against Lefties at Home in 2018. Matt Shoemaker, RHSP, TOR (29% owned in Fantrax) Vs BAL WED: Fantasy owners have short and skeptical memories when it comes to pitchers coming back from injury. Shoe started seven games in 2018 and 14 in 2017. Prior to that he was a fairly reliable back end of the rotation type and great for spot starting. Shoemaker was impressive in his first outing with the Blue Jays, blanking the Tigers through seven frames. He is scheduled to toe the rubber next against the Orioles on Wednesday. BAL hit to a .295 WoBA against #Righties on the road in 2018. I’m actually surprised he did not get drafted more heavily, and after his start against the Tigers he is likely getting added more than about any other pitcher right now. See if he is still on your waiver wire. Tyson Ross, RHSP, DET (24% owned in Fantrax) Vs KCR SUN: Yup, I’m still waiting for it too. We’ve been waiting for a few years for the Tyson Ross who busted out in 2014 and 2015 before enduring several injury marred seasons. but it has not come yet. He does show us glimpses from time to time though. This Spring Training was not kind to him as far as the numbers go, giving up 12 earned runs and a 16/9 K/BB in 21 innings. It is Spring Training though. This week he gets the Yankees on Monday, a start I would not touch at all and then the Royals in DET on Sunday. The Royals, in 2018, hit to a wOBA of only .292 against righties on the road. I’m just banking on the fact that Ross is a quality arm, and the quality of this match up, to give us a quality start. His wife may not like Detroit, but she likes the near $6M contract Tyson signed with the Tigers. Adam Wainwright, RHSP, STL (22% owned in Fantrax) @ PIT MON: If you are going to take a chance on an aging re- habbing veteran starting pitcher, why not Adam Wainwright? Don’t tell anyone but I actually drafted him in most of my leagues this season. I’d own him over CC Sabathia right now. So far, so good for Wainwright this spring, as he posted an exhibition ERA of 2.51 across 14.1 innings. He has been experimenting with a splitter this spring in an attempt to refresh his repertoire and keep hitters guessing during what will be his 14th major-league season. Wainwright’s body of work this spring is encouraging when considering he’s coming back from an injury-shortened 2018 during which he posted a 2-4 record, 4.46 ERA and 1.46 WHIP across eight starts. And, after a good Spring he’s showing he may have a little left in the tank at age 37. This week he gets the Pirates at their stadium, but last season, the Pirates hit to a .313 wOBA against Righties at home. Looks like retirement will be something to look forward to as well. Waino is also the answer to this week’s trivia question. Wade Leblanc, LHSP, SEA (20% owned in Fantrax) @ CHW SUN: Leblanc is another older and oft-injured SP who never did fulfill his promise from over 10 years ago. Surprisingly, at the age of 33 he had his best season in the major leagues in 2018, going 9-5 with 130 strikeouts in 162 innings pitched. With a good match up like this week, the Sox hit to a .295 wOBA against lefties at home in 2018, Leblanc should give you some quality innings. He also has a start today, Sunday, against the Boston Red Sox if you want to watch that before making a decision. I’d grab him for next Sunday either way as the White Hose are not nearly equal to the Red Hose. Spencer Turnbull, RHSP, DET (14% owned in Fantrax) Vs KCR THU: He’ll be 27 at the end of the 2019 season, but had a great season at AAA in 2018. He went 5-8, but that was not because of his 10.0 K/9 or career low 3.5 walks/9. Named to a spot in the Tigers rotation this season, he’ll finally get a chance to show what he can do. He’s had one start already this season, giving up three runs in five innings in a loss to the Blue Jays. He struck out five and walked two. The Royals hit to only a .292 wOBA against righties on the road in 2018. Impress your league mates who won’t know what happened when they see Turnbull in your adds for the week. ***TWO START PITCHER***Chris Stratton, RHSP, LAA (8% owned in Fantrax) @ SEA MON & Vs TEX SUN: Stratton did not exactly sparkle and shine in his first full season starting in the big leagues. He managed double digit wins with an ERA over 5.00 and a K/BB of 112/54 in 145 innings pitched. The Angels got him in a trade with SF recently to add a “veteran” arm to their rotation. At age 28 he did put up some improved numbers in Spring Training, albeit a small sample size. But, so far, he has increased his K/9 to over 8.6 from a 7.1 career rate and more importantly he reduced his walk rate from 3.7 per nine to 1.7. If those trends hold up the Angels will have gotten a bargain. You are just looking for his two starts this week to go well. The Mariners hit to a .301 wOBA in 2018 against righties at home, giving Stratton a good match up to get his 2019 started. Then he gets the Rangers, at home in LA. The Rangers also hit to a .301 wOBA against righties on the road in 2018. Brett Anderson, LHSP, OAK (6% owned in Fantrax) Vs BOS WED: The oft-injured Anderson pitches pretty darn well when he is on the mound, and that is usually early in the season. Now 31 it seems he has been around forever, and he does have 10 major league seasons under his belt now. On the 30th he pitched six shutout innings against the Giants. This week he gets the Red Sox. Sounds crazy I know, but Boston hit to a .294 wOBA against lefties on the road in 2018 and are returning basically the same offense they had last season. That’s it for this week. Picking Your Spots will become more fun after April when we have a current body of work to use as data. Until then, I hope this was helpful anyway as 2019 gets under way. See you next week when we’ll pick some more spots for the season’s 2nd week. As always I’ll be on Reddit today talking spot starts. If you ask about a starter please save me some time and let me know who he is pitching against and where. If you want to speak to me directly, my Twitter and Email are below. Thanks for reading. Major League Fantasy Baseball Radio Show: Join host Cole Freel, and Kyle Amore live on Thursday March 28th, 2019 from 9-10:30pm EST for episode #147 of Major League Fantasy Baseball Radio. We are a live broadcast that will take callers at 323-870-4395. Press 1 to speak with the host. You can listen live on blogtalk, majorleaguefantasysports.com, or download the podcast on I-Tunes or any Android podcast app. This is our OPENING DAY special. Cole and Kyle will discuss the latest happenings in the world of MLB and fantasy. 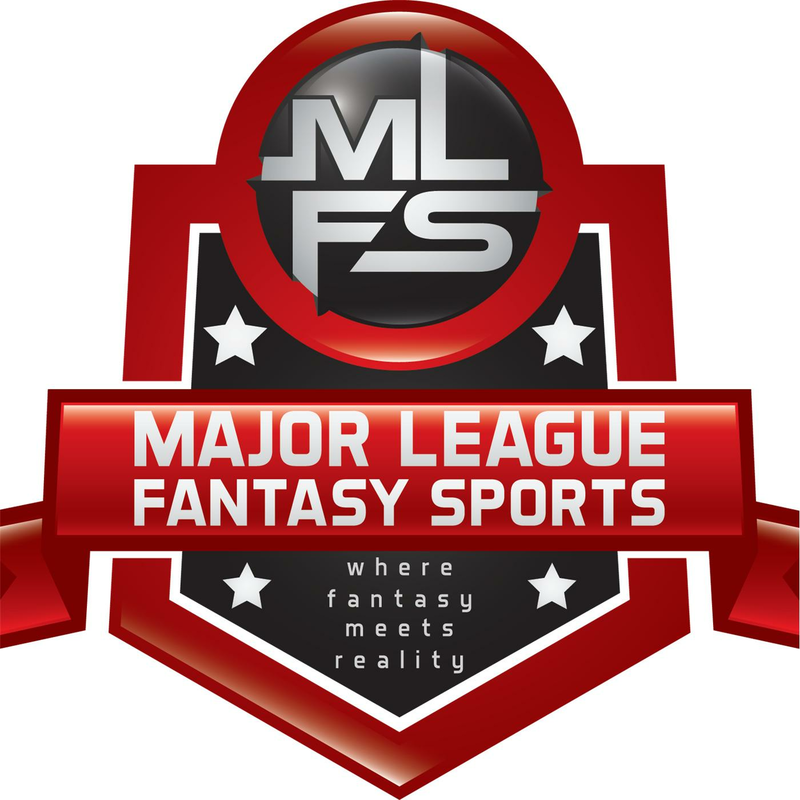 Major League Fantasy Baseball Radio Show: Join host Brian Roach, Jr, and Cole Freel live on Sunday March 31st, 2019 from 8pm-9:30pm EST for episode #148 of Major League Fantasy Baseball Radio. We are a live broadcast that will take callers at 323-870-4395. Press 1 to speak with the host. You can listen live on blogtalk, majorleaguefantasysports.com, or download the podcast on I-Tunes or any Android podcast app. We will discuss spot starters for the coming week, plus a weekend update, and look ahead to next week. Our guest this week is Brandon Ziman. Brandon is the newest baseball writer to join the crew in 2019. His articles publish every Thursday and covers the minor leaguers.